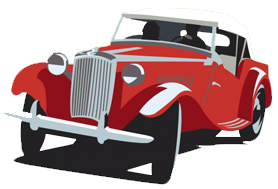 Charles Duryea claimed that on this day he first drove the first gasoline-powered US-built motor car in Springfield, Massachusetts. Duryea's brother, Frank, who witnessed Charles' first drive, later set the date at September 20, 1893. Frank's claim was supported by newspaper accounts of the day. Charles' selective memory may have been the result of the competition to claim the title of America's first car builder. Duryea wrote an article entitled "It Doesn't Pay to Pioneer," in which he claimed to have "designed and built the first gasoline automobile to actually run in America, sold the first car on this side, did the first automobile advertising, and won the first two American races." None of these claims is absolutely true, but Duryea's influence as an automotive pioneer is indisputable.